Joe and Robyn celebrated their wedding with their guests at The Grand in Covington KY. They are from Chicago and were a really fun, hip couple. They knew what they wanted and I knew we could deliver it. Saturday I had the pleasure of performing at a wedding at The Redmoor for the first time. The Redmoor is located in Mount Lookout in Cincinnati and was formerly The Cinema Grill. It has that movie theatre rat pack vibe. 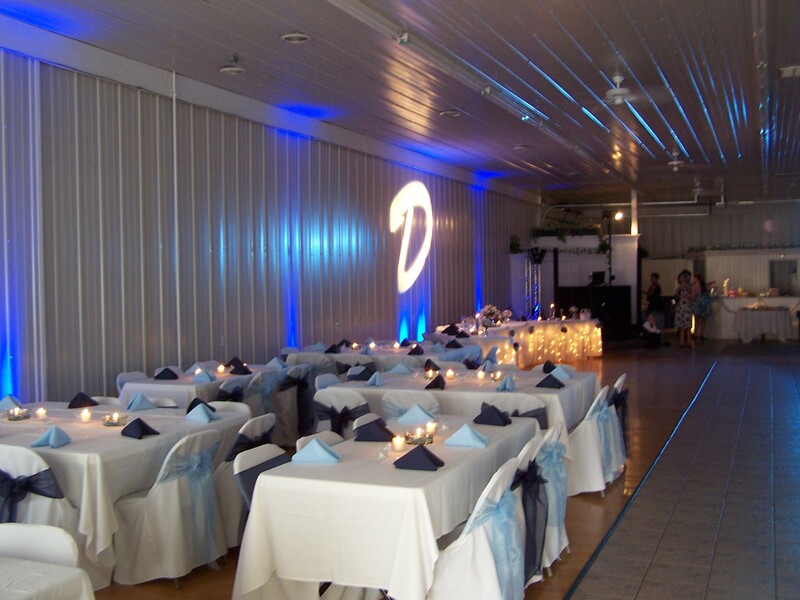 It’s really makes for a nice place to have a wedding reception especially for couples looking to get away from the typical reception hall feel. Pete and Amy came to us all the way from California. They had seen me perform at a wedding for Amy’s brother David at French Park here in Cincinnati. In fact there is blog post about that wedding on here as well. As I watched this video I noticed the dancing scenes are mostly to older songs. I assure you we played plenty of new music on this night as well. Pete and Amy had a great crowd that appreciated all kinds of music and we were very fortunate to be part of their wedding day. Check out the highlights below and if you are planning a reception at The Redmoor give me a call. I have a few more weddings scheduled there in the coming months and I’d be happy to go back anytime. It’s a great place. My compliments to Mandy and her staff on a job well done Saturday. Jamie and Ashley Got Married! 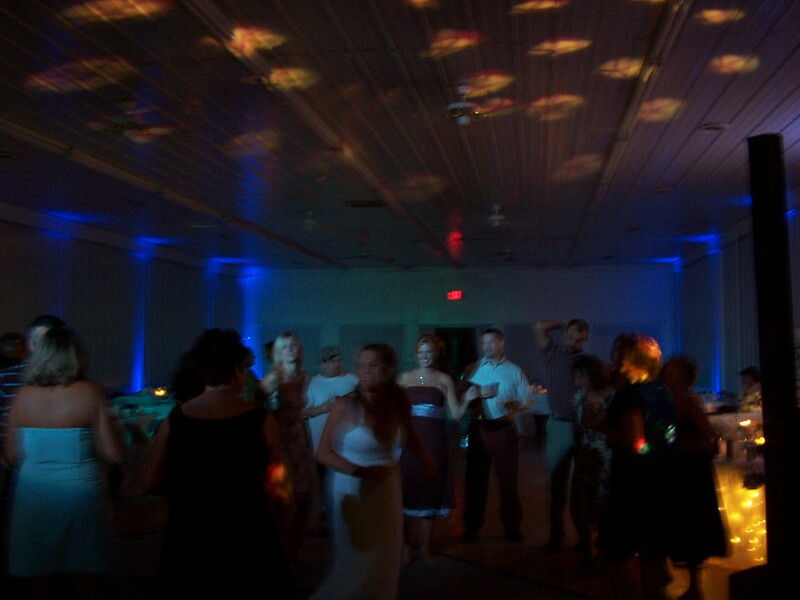 As a mobile DJ we get to experience and share in the biggest days of our clients lives. When it comes to Ashley this is true on so many levels. Ten years ago Ashley’s sister Angie was married and I was there. At the time Ashley was just a fourteen year old little girl. When her sister Hope graduated high school I was the DJ for the graduation party. Ashley graduated High School and I was again the DJ. I can still see her and her friends crying as they said goodbye to each other that night. 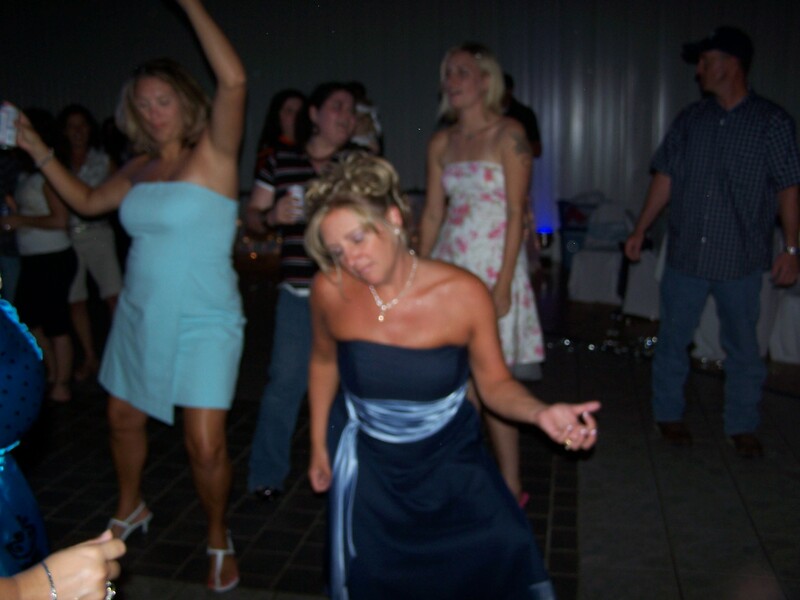 When Ashley was a Maid of Honor in Hope’s wedding last year I was the Disc Jockey and Master of Ceremonies. 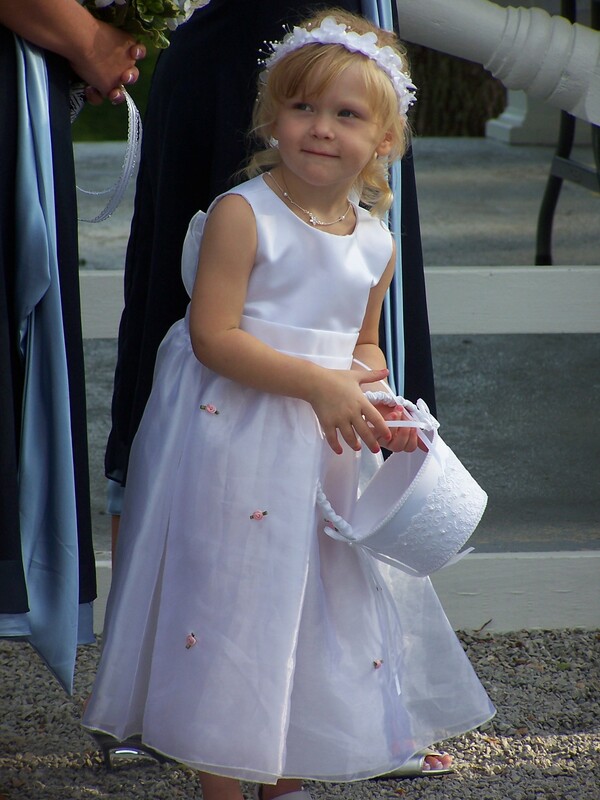 On November 8th she walked down the aisle no longer a little girl but a beautiful bride. Needless to say, I was honored to be asked to provide my services for Ashley’s wedding reception. We met to plan their reception at Cheeseburger in Paradise in Eastgate. Jamie lived in St. Louis and while I had heard all about him we had never met. I was impressed with him from the start of the meeting. I could tell quickly how in love he was with Ashley and how he wanted this day to be perfect for them. They were both excited about the big day but a bit tired from all that had gone into planning it. As the plan began to unfold for their reception we were all pumped about the creativity, the flow and for Ashley ….the dancing! 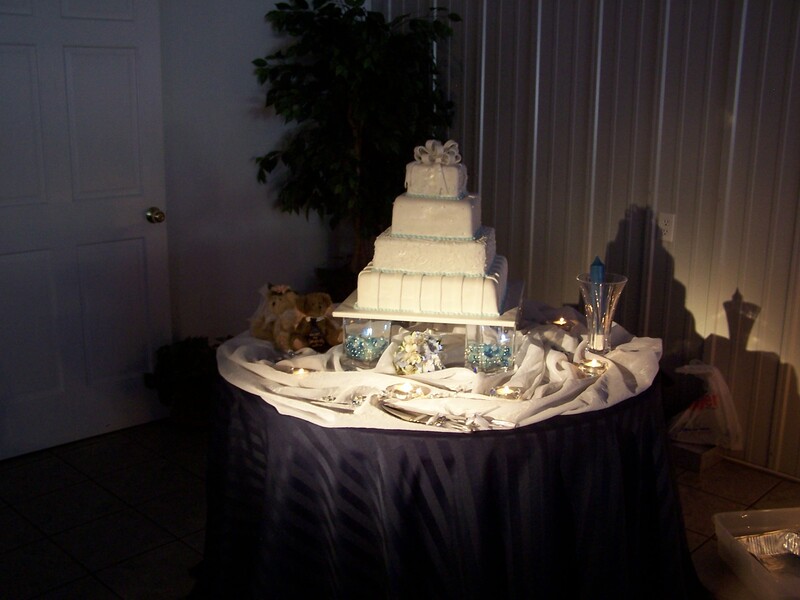 They ceremony and reception were both in The Grand Ballroom of the Madison in Covington KY. I provided sound for musicians from Jamie’s family. They did a great job. “Here comes The Bride” on guitar was unique and fantastic. After the ceremony concluded Jamie and Ashley were whisked off for pictures by the staff of Images by Daniel Michael. Joyce with Bambino Productions captured all the video footage. The guest enjoyed a classy and upbeat cocktail hour until the bride and groom were ready to party. After a spirited introduction of the wedding party into the room for the reception Jamie took the microphone. That is where the video I captured with my camera begins….enjoy. Joann went to high school with my wife Christina. She and her fiance Jimmy hired me to provide entertainment for their reception. They didn’t realize what else I could provide until we met to discuss the event. It was important to Joann that they have their event close to home. So they chose a rental hall for their event. This venue like many venues has no staff. 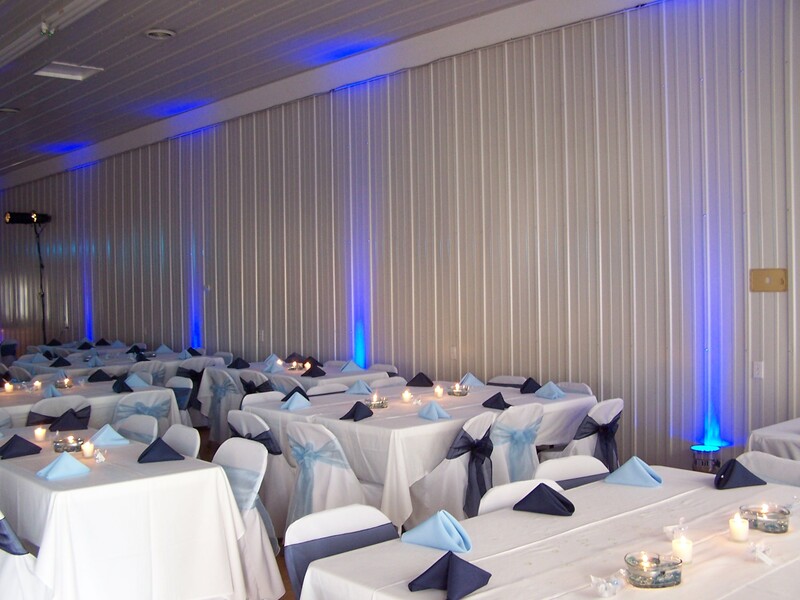 You just rent the facility and decorate and have a party. Luckily we met early on in the planning process and I was a able to make some suggestions that they liked and offer some direction for the night and ideas for decorating. 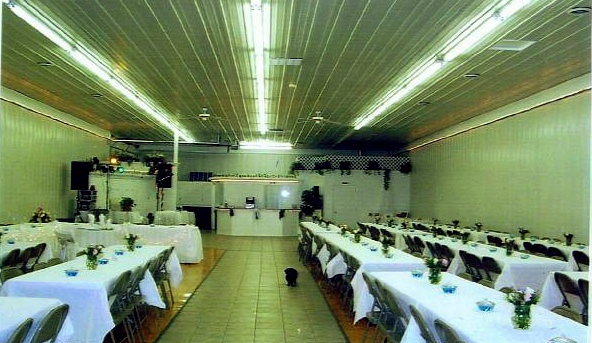 The facility was Hilltop Reception Hall in Amelia, Oh. Typically the tables are set-up cafateria style like this. No knock on the place but to me this is not good. The couple decided they wanted the guests to be able to see each other and talk. So they set the tables up together like this and rented chair covers. It made it look so much more elegant. Looking back at the first picture you can see how plain the room is. So they could have spent a fortune on white Christmas lights and other decorations people usually resort to in these situations. Instead with the lights from my new company “Light Your Day” the room (same as in the first picture above) looked like this last night. I provided the ceremony sound system and music for the ceremony. We surprised their guests as the ceremony ended and the couple began to walk back down the isle with the typical wedding music exit Bridal Chorus by Mehndolson but quickly spun it into Another One Bites The Dust by Queen just as fireworks went off behind them over the lake. At the reception they saw the real value of spending extra on a real Master Of Ceremonies. With no staff, I was in charge of pretty much everything. I released tables to the buffet, filled champagne glasses, kept the event moving forward, made sure the knife was on the cake table, all the little things people don’t think about and all in the background giving Jimmy and Joann the spotlight. 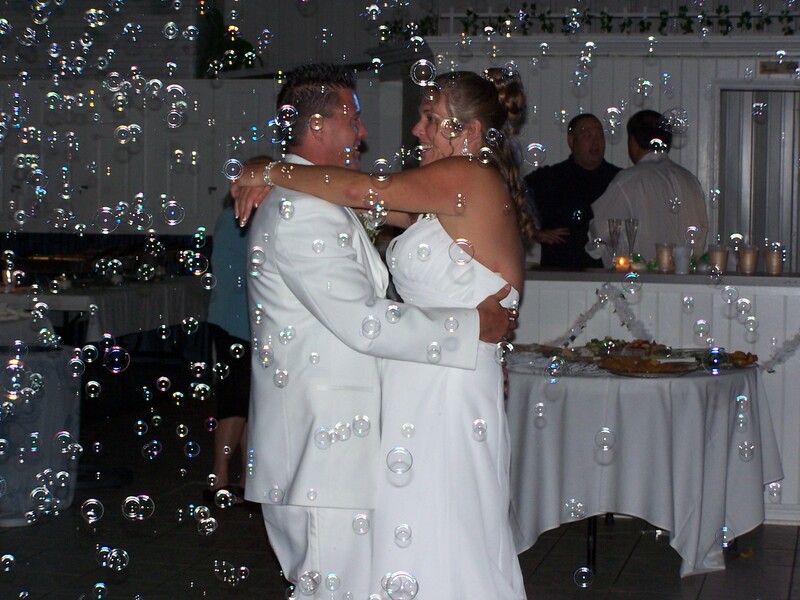 Other highlights – Top 10 List – Newlywed Game – Bubbles For The First Dance – Lot’s of 80’s Music, Teddy Bear Toss. Lots of dancing laughing and singing along. 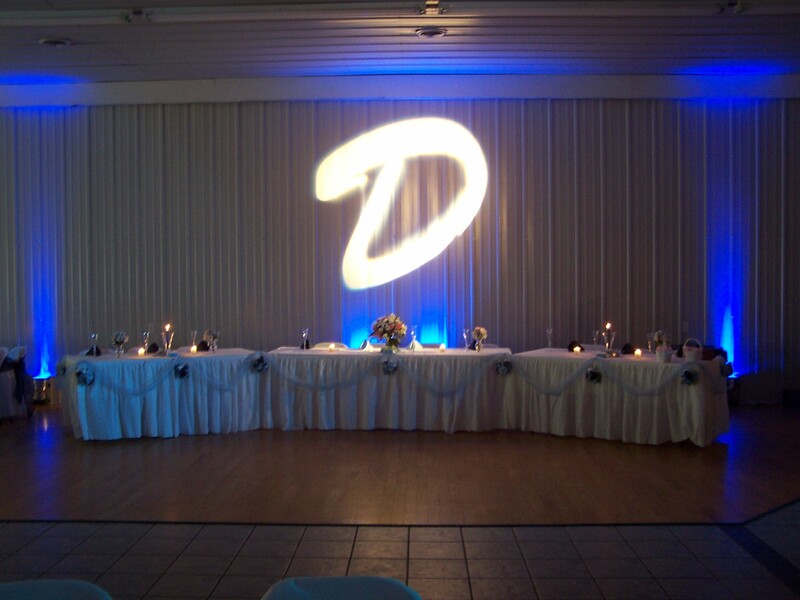 Here are a few pictures from jimmy and Joann’s Wedding and Reception. It was an amazing night. It was really cool for me to have my wife and kids there and for them to see what I do every weekend. It was also exciting for me to perform in front of friends. I ws so happy with how everything turned out, especially the lights. Jimmy and Joann were even more happy they both hugged me at the end of the night and said it was PERFECT!